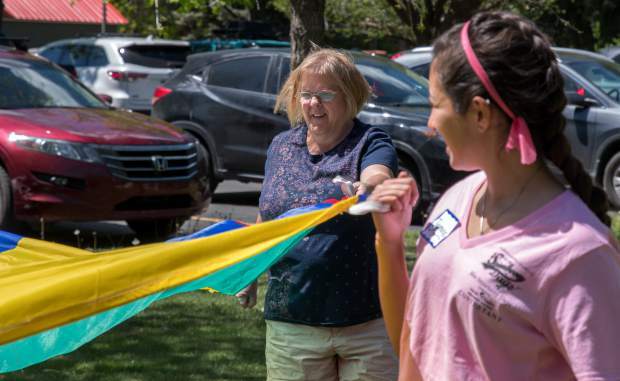 Miss Strawberry Days contestants Leslia Serrano, Brittany Rhodes and Litzy Rivera encourage Mountain Valley Developmental Services client Patty Taylor while she plays the frog toss game during Thursday's field day. 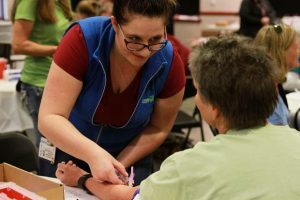 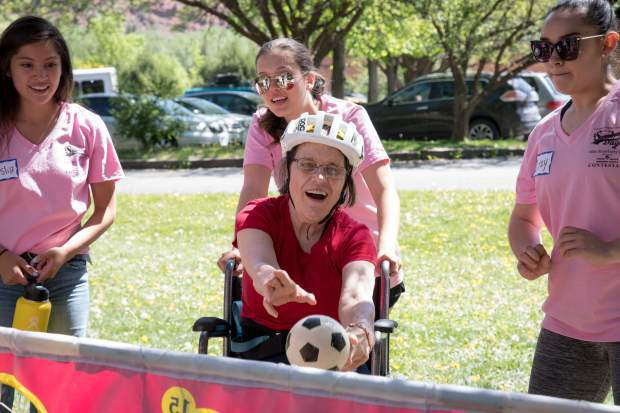 The contestants set up and help clients with games, face painting, badminton, a bike race and other activities. 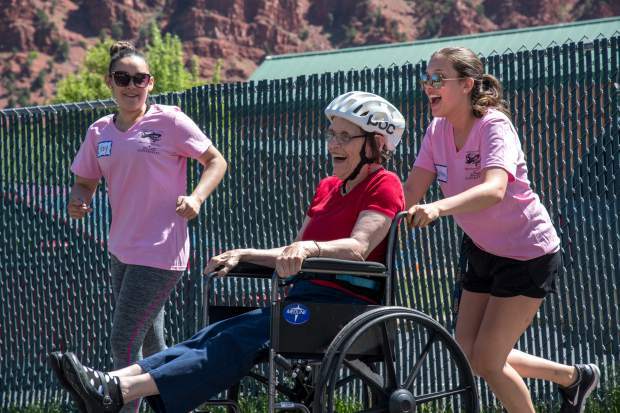 Miss Strawberry Days contestant Eboni Archila plays a parachute game with Mountain Valley Developmental Services clients during Thursday's field day. 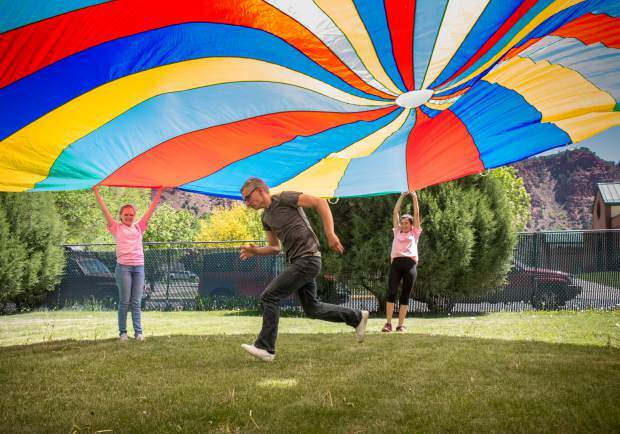 Mountain Valley Services client Dawson Wisdom runs underneath the parachute during a game on the lawn with Miss Strawberry Days contestants during Thursday's field day. 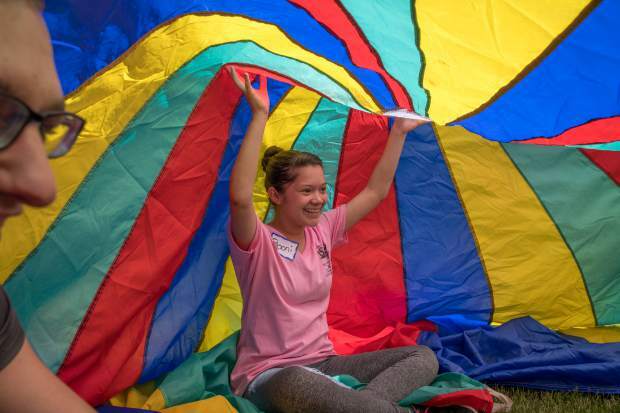 Mountain Valley Developmental Servies client Molly Murray plays a parachute game with other clients and Miss Strawberry Days contestants during Thursday's field day. 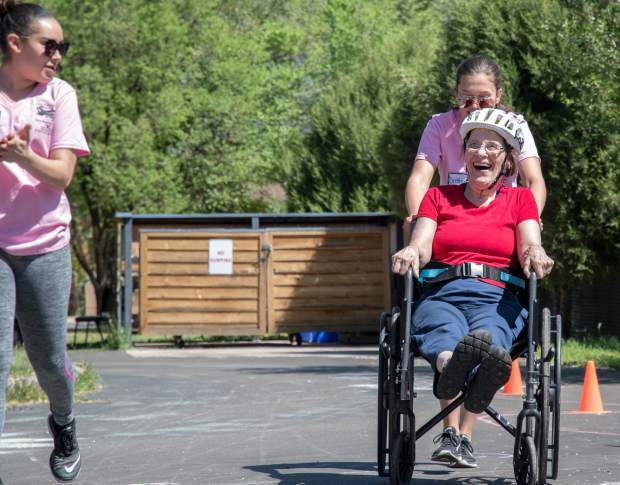 Miss Strawberry Days contestants Litzy Rivera and Brittany Rhodes push and encourage Mountain Valley Developmental Services client Patty Taylor through the obstacle course during Thursday's field day. 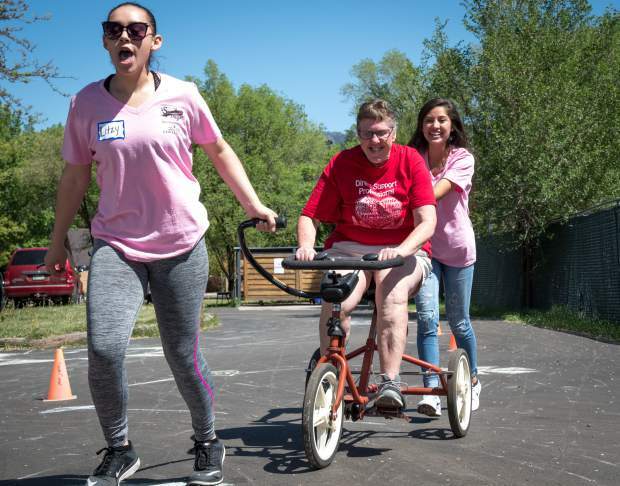 Miss Strawberry Days contestants Litzy Rivera and Leslia Serrano help Mountain Valley Developmental Services client Suzanne Simmons through the obstacle course during Thursday's field day.